The archaeological site of Naḥal Ḥaggit is set on a hill in the Manasseh Highlands between Naḥal Ḥaggit and Naḥal Tut/Daliya (Wadi Milik), 4 km northwest of Bat Shelomo. It commands a good view over the Zikhron Ya‘aqov–Jokneam road, a secondary interregional route between the coast and the Jezreel Valley; the major route is through Naḥal ‘Iron (Wadi ‘Ara) to the south. The site was originally discovered by Y. Olami as part of the Archaeological Survey of Israel (Map of Daliya). 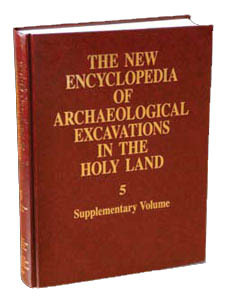 Excavations were conducted by J. Seligman of the Israel Antiquities Authority in 1993, prior to the construction of a power station. Approximately 1.4 a. of the 2-a. site were excavated. Three strata were distinguished at Naḥal Ḥaggit. The first (stratum I) consisted of only ceramics, coins, the bottom part of a refuse pit, some mikvehs, and a few dismantled walls. It probably dates from the first century BCE until the mid-second century CE (perhaps up to the end of the Second Jewish Revolt in 135 ce). The major occupation is that of stratum II. Ceramics and abundant coins date this stratum from the late second century until the end of the third century or beginning of the fourth century CE. After a long period of abandonment, the final period of settlement is reflected in stratum III, dated to the Middle Ages, from the thirteenth to fourteenth centuries CE.